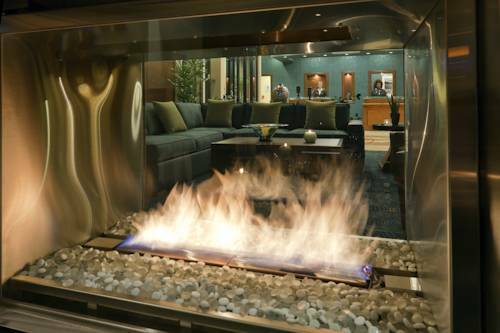 Flourish during your extended stay at Residence Inn Cincinnati Downtown/The Phelps. Our boutique hotel is housed in the historic Phelps Building in the heart of downtown Cincinnati. Easily travel to destinations surrounding us including Lytle Park, Newport Aquarium, Great American Ballpark and Paul Brown Stadium. We are also minutes from the Great American Tower, Jack Cincinnati Casino and the Taft Museum. Unique among hotels in the area, we feature a rooftop restaurant overlooking Cincinnati. After a delicious meal with gorgeous views, ease into our spacious suites with complimentary Wi-Fi. Our rooms also come with fully equipped kitchens and free grocery shopping service for your convenience. After a night of relaxation on our plush bedding, wake up to our free breakfast buffet, then burn some calories at our fitness center. We also provide impressive event spaces for your business or social gathering. Surround yourself with timeless style and modern flair at Residence Inn Cincinnati Downtown/The Phelps. Top of the Park: Take in the spectacular views of downtown Cincinnati from our rooftop restaurant, now expanded to a second level. Gather with friends over handcrafted cocktails, then order a delicious meal from our small bites menu including hors d'oeuvres and desserts. The Phelps Bar: Enjoy urban elegance at our first-floor Phelps Bar. With a wide array of wines, beers and signatures cocktails, this stylish bar is the perfect place to casually converse with colleagues or catch up with friends after an exciting day in the city.